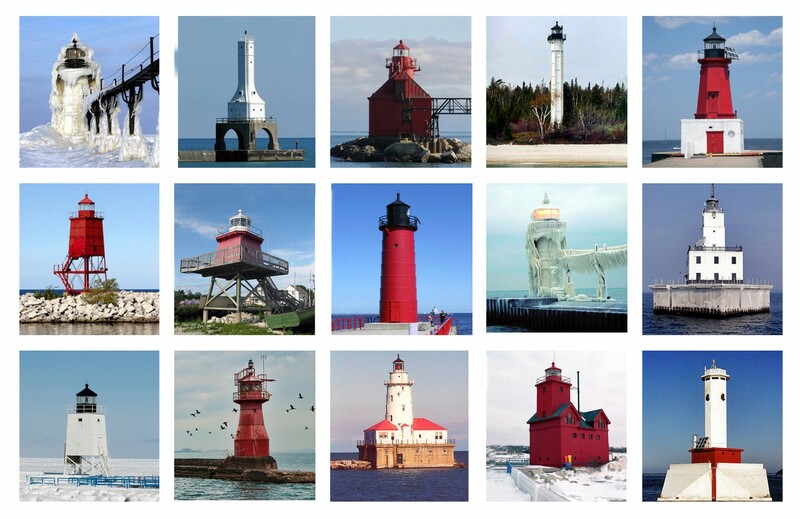 Beacon, a proposed Lakefront Kiosk in Chicago, plays on the distinct iconography of Lake Michigan’s many lighthouses in more mediated, multifaceted form. 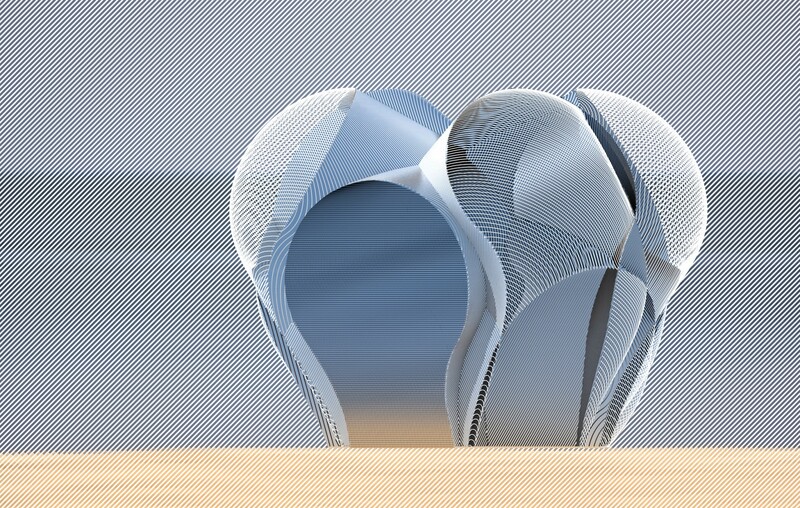 Initially, we reduced the profile of the lighthouse to that of a lightbulb – a symbol (idea!) more than an icon. 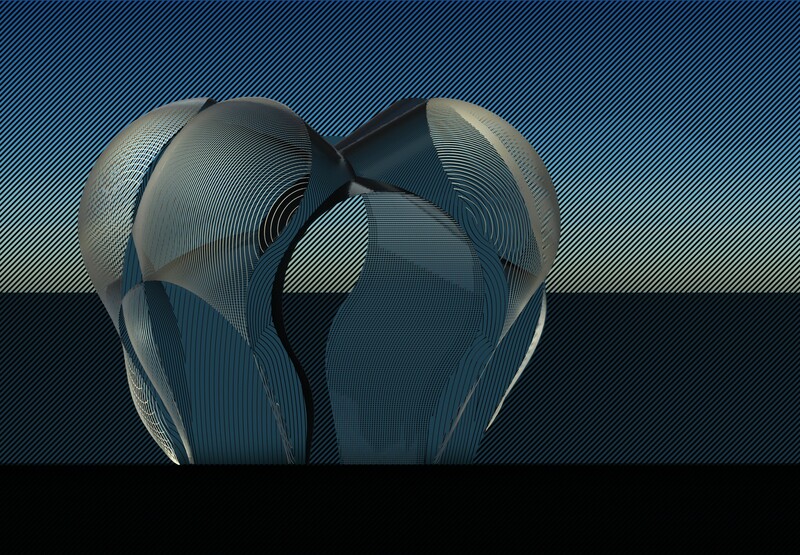 Suggesting both 2d cliche and a wide array of 3-dimensional visual effects, the lightbulb is a non-primitive primitive shape – it is not a neutral original, it has built in familiarity. 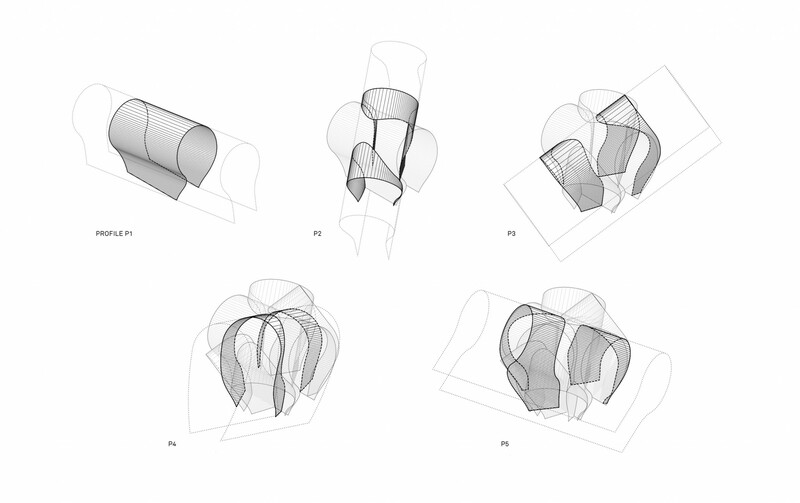 The mass of the kiosk is created by rotating and extruding the profiles of several lightbulbs through each other to produce a set of overlapping figures and volumes. 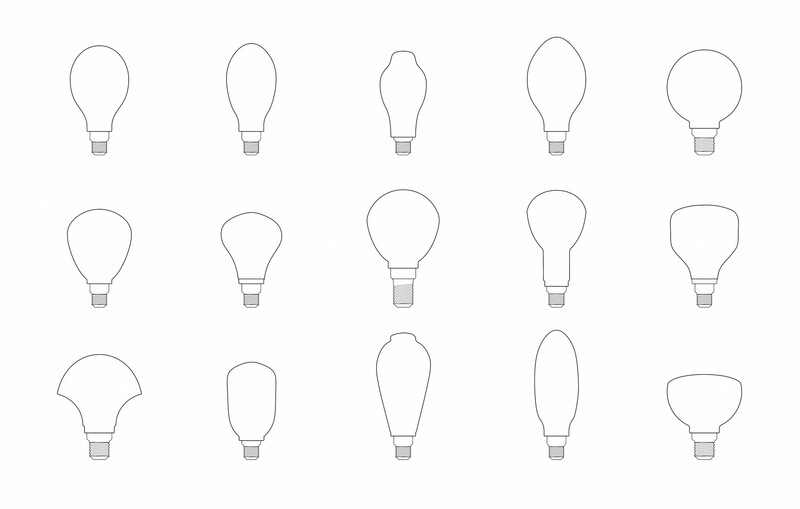 The easily identified figure of the lightbulb is degraded as the repeated extrusions intersect, opening up a wider set of possible associations. 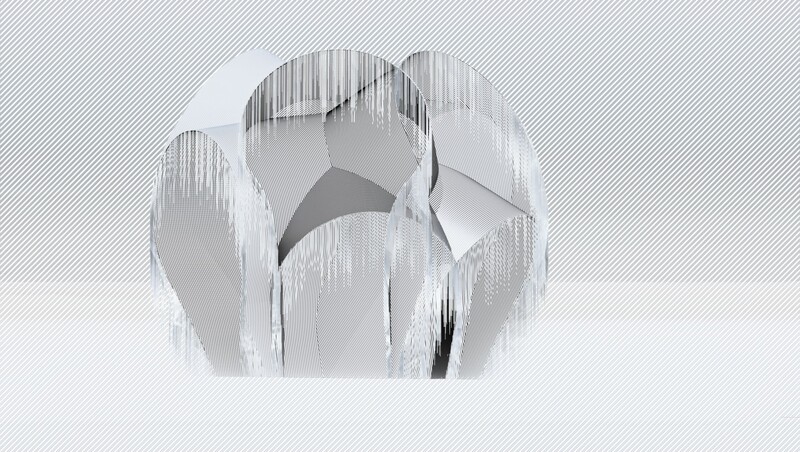 Beacon is made from 5-gauge cold-rolled aluminum; every sheet is limited to single-direction curvature. Painted a subtle range of greys on the exterior, the kiosk’s central volume is mirror finished, creating a single voided profile that takes on the materials and colors around it through reflection. Aluminum conducts radiant heat efficiently, so the extruded profiles on the sides of the central volume are designed to shade central enclosure the keep it cool. The upper profiles are also filled with ETFE inflated plastic pillows which insulate the kiosk and give it a soft puffy quality that contrasts with the crisp curvature of the metal. Structurally, the kiosk resembles a miniature gothic cathedral. The lateral thrust of the central ‘nave’ is buttressed by the extruded profiles on the sides. These are reciprocally supported in the longitudinal direction by the nave. Each sheet of rolled aluminum is curved in one direction and attached to another perpendicular sheet to create a stable structure. These joints are a series of plasma-cut tabs inserted into corresponding tabs and riveted in place. Beacon covers both the large central volume and a series of shaded alcoves around its edges. These can be used for eating, drinking, conversing, calling, or simply as a respite from the sun or rain. The interior can be used in several ways. First, as a service space with counters at either end and storage on the sides, and second, as a publicly accessible gathering or eating area with storage or display in the niches on either side.